In this mass manufacturing world we live in today, handmade items are unique. They represent the passion, energy, knowledge and determination of the artist and usually, they have a story to tell as the art of craft is as old as our species! Enjoy the new books we have chosen for you. Craeft : how traditional crafts are about more than just making / Alexander Langlands. 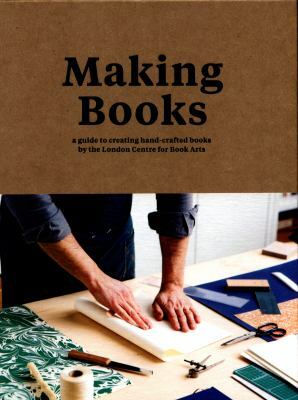 Making books : a guide for creating hand-crafted books / by the London Centre for Book Arts ; Simon Goode and Ira Yonemura. Leatherworks : traditional craft for modern living / by Otis Ingrams ; photography by Simon Brown. Techniques using slips / John Mathieson. Mastering hand building : techniques, tips, and tricks for slabs, coils, and more / Sunshine Cobb ; foreword by Andrea Gill. Making candles : create 20 decorative candles to keep or to give / Sarah Ditchfield. The interest and demand for bright colour and bold pattern ceramics have made them popular again and this selection of books with recent works and some clay and glaze recipes reflects on their appreciation. Flowstones : beautiful creations from polymer clay / Amy Goldin. 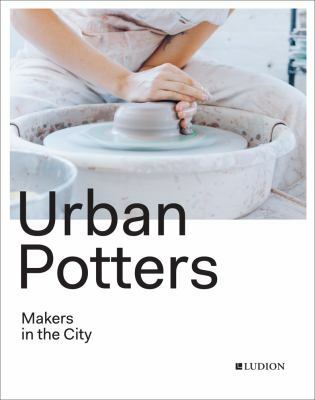 Urban potters : makers in the city / Katie Treggiden ; edited by Micha Pycke & Ruth Ruyffelaere. Vitamin C : clay + ceramic in contemporary art / Louisa Elderton and Rebecca Morrill, editors. Surface decoration / Kevin Millward. Mid-century modern : living with mid-century modern design / Judith Miller. Animals, plants, politics and poetry feature this month in the New Zealand collection. New Zealand inventory of biodiversity / edited by Dennis P. Gordon. An extraordinary land : discoveries and mysteries from wild New Zealand / written by Peter Hayden ; photographs by Rod Morris. “Our isolation has been a huge advantage. It turned New Zealand into a wild laboratory where evolution could conduct experiments that lead to weird and wonderful outcomes like the kakpo and the giant weta. It was also a museum, where ancient creatures could exist long after their kind disappeared from the rest of the world. More recently, scientists are discovering how little we know about species we thought we knew so well. An Extraordinary Land brings us up to date with these discoveries and gives us a snapshot of what makes New Zealand wildlife unique”–Jacket flap. His own steam : the work of Barry Brickell / with essays by David Craig & Gregory O’Brien and new photography by Haruhiko Sameshima. “Potter extraordinaire, conservationist, railway enthusiast and iconoclast Barry Brickell is one of New Zealand’s most important ceramicists … In essays by David Craig and Gregory O’Brien and with both newly commissioned photographs by Haru Sameshima and historic images, His Own Steam: The Work of Barry Brickell charts Brickell’s career in its entirety and in the context of his life and times, timed to coincide with a survey exhibition of the same name at The Dowse Art Museum”–Publisher information. Sewing freedom : Philip Josephs, transnationalism & early New Zealand anarchism / Jared Davidson ; [foreword by Barry Bateman ; illustrations by Alec Icky Dunn]. Paradise past : the transformation of the South Pacific, 1520-1920 / Robert W. Kirk. The Judas tree : poems / by Lorna Staveley Anker ; edited by Bernadette Hall. Apollo in George Street : the life of David McKee Wright / Michael Sharkey.